Amore, Italian for Love. That is what Valentine’s Day is about. It’s not about gifts, or fancy dinners out. Those things are nice, but Valentine’s Day is about love. And wine. You can make a bold statement with a bottle of sparkling wine. From dry to sweet, there’s an Italian sparkling wine that’s perfect for you and your amore. From Northern Italy and founded in 1887 by Francesco Mionetto in the village of Valdobbiadene, Mionetto Prosecco Brut DOC is a great way to say I Love You. Made with 100% Glera grapes from the Veneto region, the Mionetto Prosecco Brut is ever so slightly sweet. The Italian sparkling wine is rich yellow color, with an aroma of white peaches. There are lively bubbles in the glass, and you first notice the minerality of the wine, followed by delicious notes of pear and white peach. Mionetto Brut Prosecco is widely available, and can be found in retail stores for approximately $14. 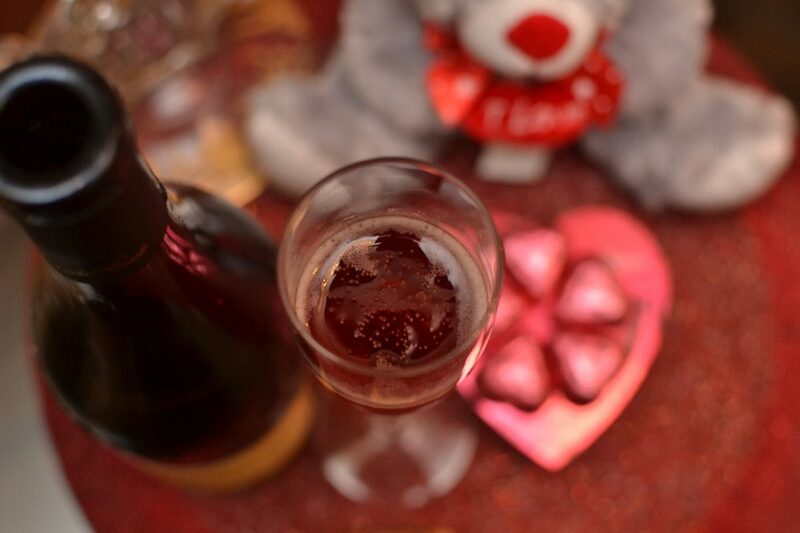 Pink and Valentine’s Day sometimes seem synonymous, so a rosé sparkling wine will suit your amore perfectly. From the Veneto region of Northern Italy, Lamberti Rose Spumante is made with 34% Pinot Bianco, 33% Pinot Nero, and 33% Raboso. A soft, light pink color, you will notice an aroma of sweet red raspberry and strawberry wafting from your glass. The tiny, fine bubbles are persistent, but not too firm, just a beautiful, delicate sparkle. 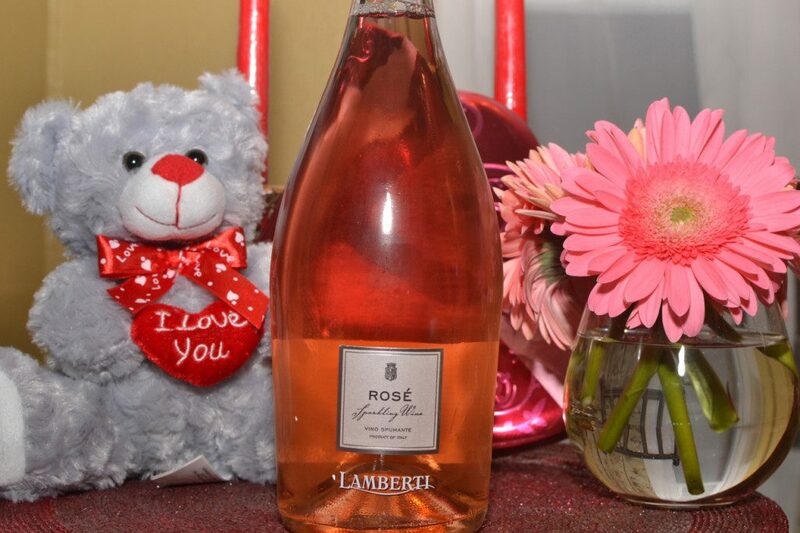 A touch sweeter than the Mionetto, the Lamberti Rose Spumante has a light, delicate palate of ripe red fruits. The hint of sweetness is brief, and the dry finish leaves you wanting another sip. Another $14 Italian Sparkling wine that can be found in stores and online. 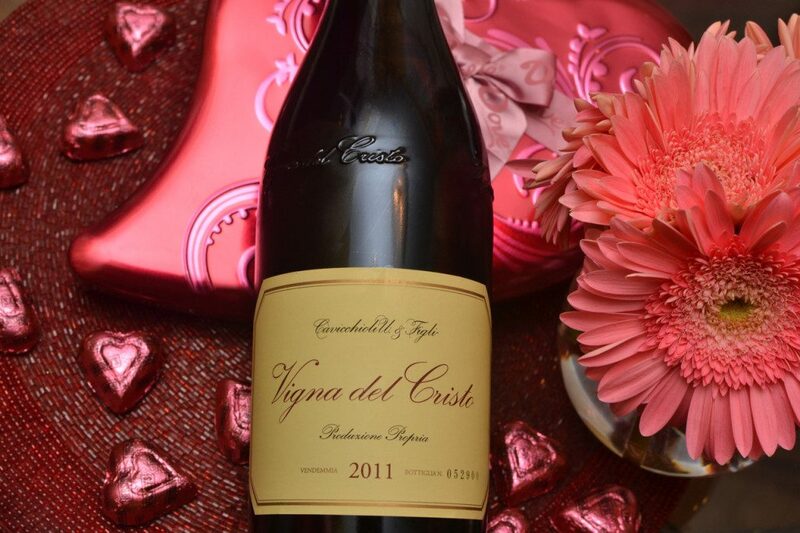 As unique and interesting as the love of your life, Cavicchioli Lambrusco di Sorbara ‘Vigna del Cristo’ is an Italian Sparkling wine from the Modena region of Northern Italy. Lumbrusco is a wine that has different characteristics according to where it comes from, and there are five Lambrusco DOCs, each with it’s own variety of Lambrusco grape. This affordable red sparkling wine is made with 100% Lambrusco di Sorbara, which is thought to be the highest quality Lambrusco grape since it is one of the more difficult ones to grow, having the lowest yields of grapes per vine, and thus more concentrated flavors. The Cavicchioli Lambrusco di Sorbara ‘Vigna del Cristo’ is a dark pink color in the glass, with an inviting aroma of dark raspberries. Those dark raspbery scents belie the dryness of the palate, however. Soft dried red berry, cranberry and raspberry make up the flavors of this quite dry but fun sparkling Italian wine. It retails for $17, and paired with some dried salami, would be a delightful way to start your Valentine’s Day celebration. 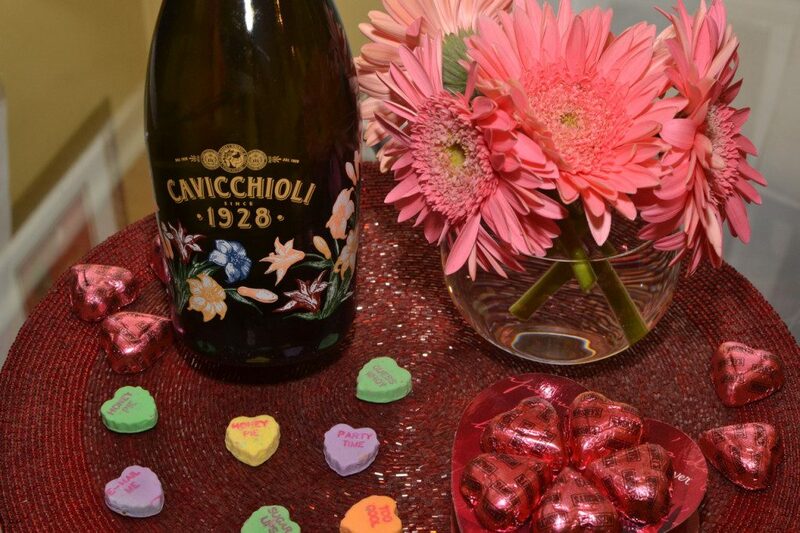 Our fourth Italian sparkling wine, the sweetest of the group, is also from Cavicchioli. The Cavicchioli 1928 Sparkling Lo Spumante is made with 100% Malvasia grapes, and the beautiful bottle hints at the flavors inside. An inviting aroma of white peach and white jasmine, the Cavicchioli 1928 sparkling lo spumante is a burst of white honeysuckle, white peach, and floral jasmine on the palate. It’s a very soft approach and mid-palate, the finish is medium in length, leaving a touch of sweetness lingering on your tongue. 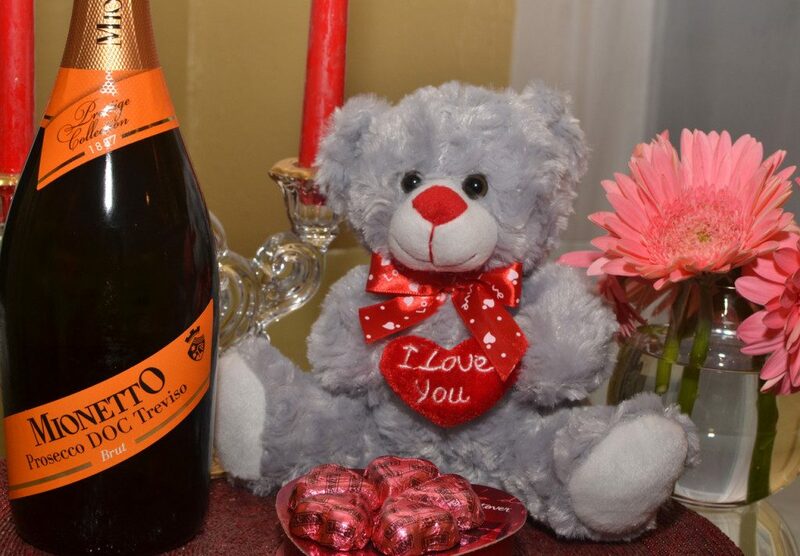 Available in retail shops for only $14, this sweeter Italian sparkling wine is sure to please your Valentine. 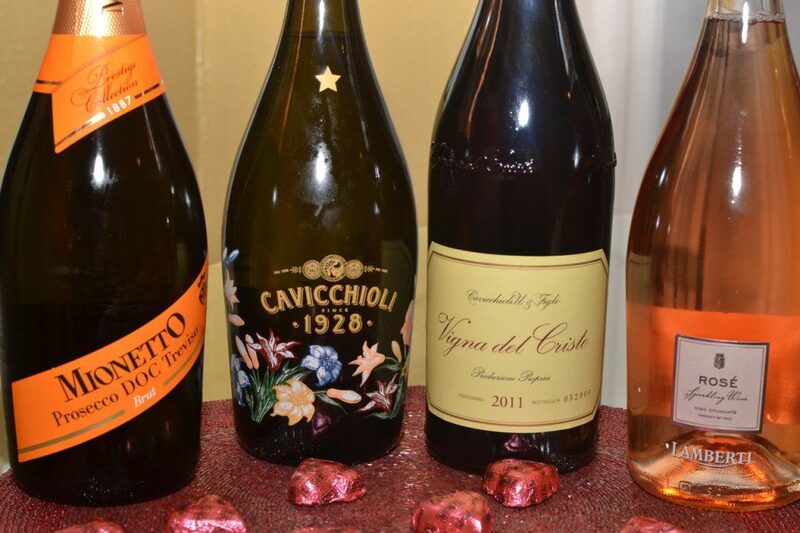 Any of these affordable Italian sparkling wines would be a perfect way to toast to the love of your life. So, pop a cork, and toast to another beautiful year with your amore! Cin-Cin!